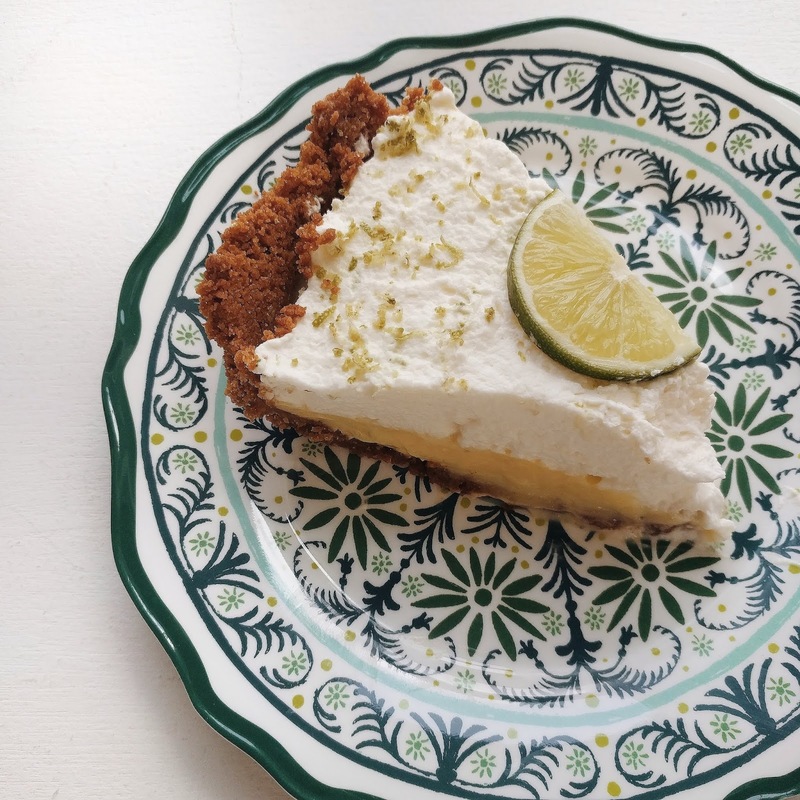 This key lime pie tastes like summer. It's adapted from a Martha Stewart recipe, so you know it's good. 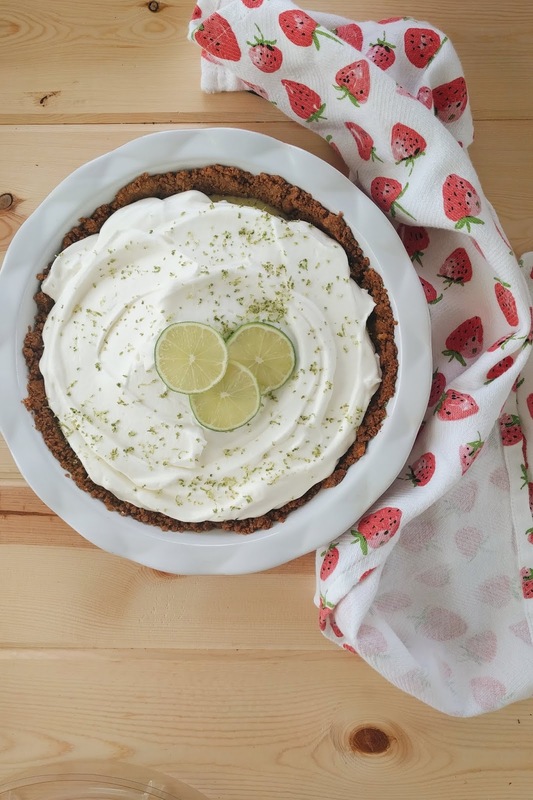 For this recipe, I chose a whipped cream topping over meringue, because I prefer the creamier texture and the additional sweet flavor. The steps are really simple; I think the hardest part is squeezing and zesting the limes. Combine graham cracker crumbs, butter, and 3 T of sugar. Mix well, and press into a 9-inch pie plate. Bake until light brown, about 12 minutes. Cool completely. In a medium-sized bowl, whisk condensed milk, egg yolks, lime juice, and lime zest. Pour into the crust, and bake for 15-17 minutes. The center should be set, but still quiver when shook. Combine heavy cream and sugar with a whisk attachment in the mixer on medium speed until billowing soft peaks form. Spread over the top of the pie. Garnish with lime zest and lime slices. Keep in the fridge.